Click2Pay is a simple to ease and free e-wallet that allows its users to make instant online casino deposits to play casino games and collect bonuses! 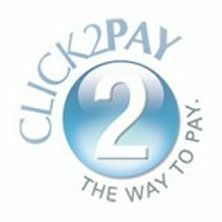 Click2Pay is an online e-wallet service like Neteller, Skrill, Entropay and PayPal. It allows users to connect a ‘funding account’ from their primary bank account to a digital wallet that acts as an intermediary between the customer and merchant. This payment process is perfect for customers looking to make discrete payments or who, for whatever reason, prefer to keep their primary bank information private when purchasing items online. Another cool feature that Click2Pay offers is the opportunity to create a virtual VISA card, which you can read more about here. This means that even if an online casino does not accept Click2Pay, if they accept virtual visas then you can still use your account’s card to deposit! You only have to enter your personal data one time. Considering the advantages, you may find yourself wondering just how many online casinos accept this payment method, and you can find our top picks for Click2Pay casinos in the following section! 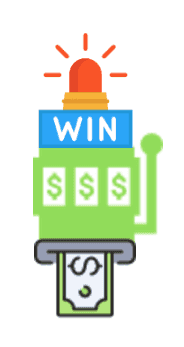 Online Casinos That Accept Click2Pay Deposits! The following list of online casinos includes operators that accept Click2Pay deposits and, in some cases, withdrawals as well. Each of the options below comes with a link to a complete casino review, where you can find out more about other accepted payment methods, bonus details and available games! Click2Pay is an incredible way to top up your online casino account. Not only is the processing time incredibly short, but you can play games for real money without giving up sensitive information directly to the casino. If you choose one of the options listed on this page, you can also use your Click2Pay account to claim some incredible welcome bonuses from free cash to no depositfree spins and deposit match bonuses! The online casinos that are listed on this page offer incredible deals that you can claim right now using your Click2Pay account! All you need to do is click on the button next to the deal you are interested in and you will be redirected to promotion on the casino site! Does Click2Pay Charge Any Fees? When you deposit money to your Click2Pay wallet you may be charged a fee depending on the country you live in and the deposit method you are using. Credit card transactions for instance come with a fee of 3% of the transferred amount. In terms of using the service, creating an account costs nothing, but depending on how much you use Click2Pay, you will get more out of your account that other users. 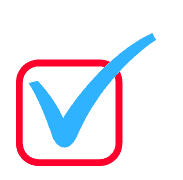 All Click2Pay accounts are given a “Star-Rating” which starts very low and slowly increases depending on how frequently you use the e-wallet. Once you exceed a certain level you will be able to transfer a significantly larger amount of cash within the time frame of 7 days. You can also make mobile payments using Click2Pay if you’ve selected an online casino that has a functioning mobile platform. 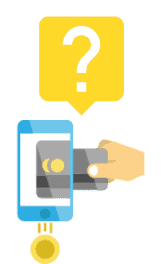 Because Click2Pay is a simple and easy payment method, depositing from phone is simple. You can find even more info on mobile casinos in our complete guide, accessible through the link below!